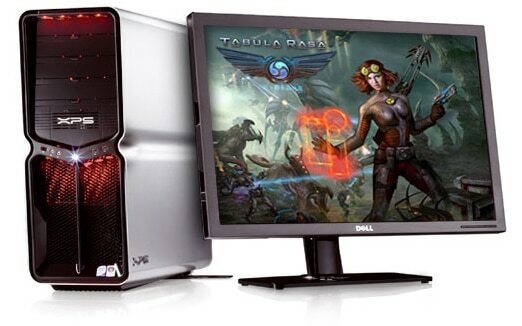 Dell XPS 730 desktop gaming PC - Dell's latest and greatest technology and design for Extreme Gamers and Performance users. Get a quad-graphics solution for a lightning-fast gaming experience. Quad Graphics allow you to take advantage of the most demanding visual enhancements inherent in the latest games without compromising your performance. The XPS 730 H2C comes with Dell’s patented two-stage cooling system that helps keep your overclocked* CPU and chipset cool and stable. The innovative H2C hybrid solution combines a liquid radiator, a thermoelectric cooling module and control circuitry, optimizing CPU cooling with minimal power consumption. Standard on Victory Red and Stealth Blue, optional on the Brushed Aluminum model. 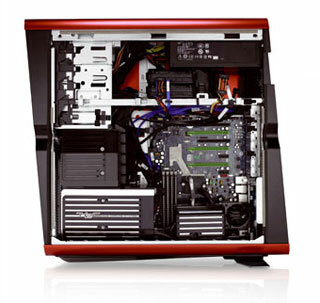 Be the first to dominate with advances in gaming technology with a standard ATX case chassis design. 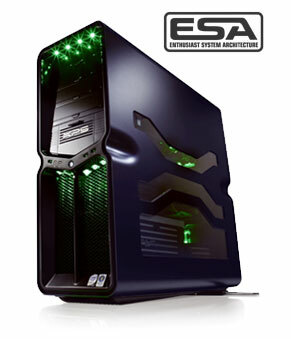 Optimize your PC’s Performance with ESA! ESA enables real-time and complete PC performance management, while delivering new control and monitoring features for thermal, electric and acoustic characteristics. Tune your system to sustain peak performance or whisper-quiet operation. Let your rivals drool over the powerful components inside your system. The XPS 730 combines incredible power with uncompromising design for peak performance. Available in Brushed Aluminum, Victory Red and Stealth Blue. Superior service is standard with XPSTM products. Dell XPSTM technicians pass rigorous XPSTM products-specific training, and support calls are normally answered in less than 2 minutes. 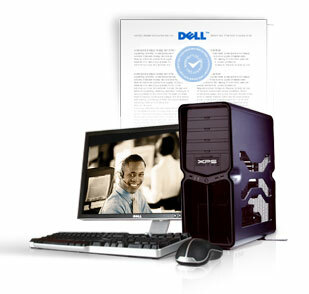 1 year of Dell DataSafeTM Online Backup, and 24x7 telephone support. In short, the ownership experience is just like the machine itself – top of the line.